Once you’ve created the main object “Museum”, you can move on to filling in its exhibits. Fill in the field “Exhibit name”. 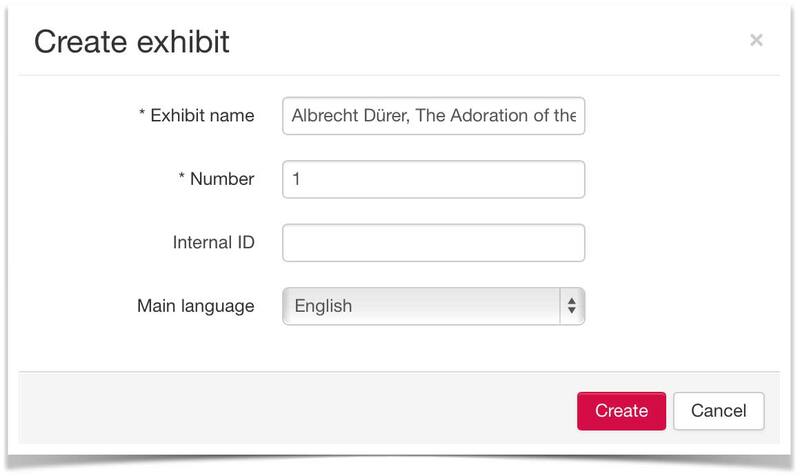 Fill in the field “Number” (assign the exhibit number 1). The “Create Exhibit” window will close, and the “Stories” section of your newly-created exhibit will open. 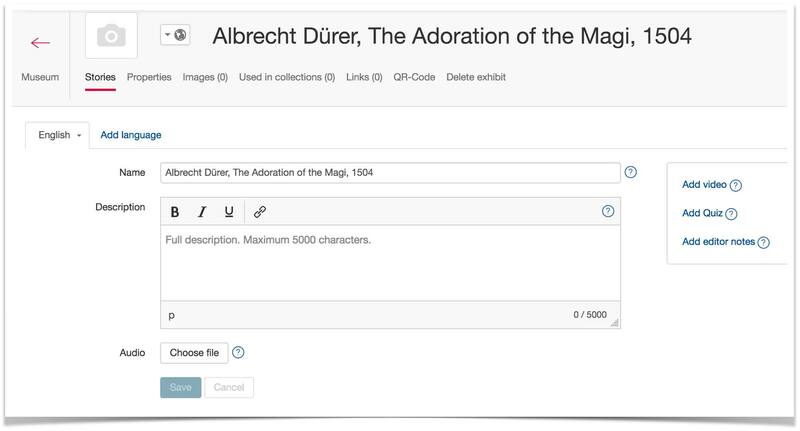 In the “Description” field, provide information about the exhibit. This information will be displayed in the mobile audio guide on the page for the exhibit. If you have an audio story about the exhibit, then upload it using the “Choose file” in the “Audio” section. If not, skip this step. You can upload the audio later on. 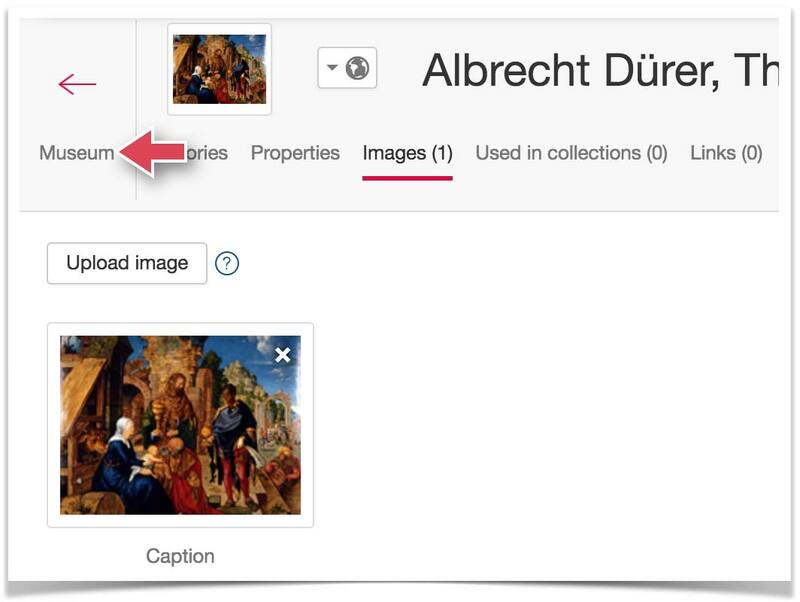 Click “Upload image” and, in the window that opens, indicate the file containing the photograph of the exhibit. Your exhibit has now been created. Click on the arrow to return to the Museum. The Museum page now contains a card for the newly-created exhibit. You can now test it. This will require a smartphone with an audio guide installed on it and a passcode.